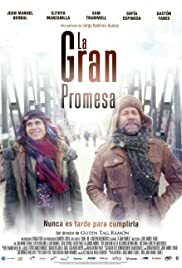 Director: Jorge Ramírez SuárezWriters: Klaas Bense, Jorge Ramírez SuárezStars: Juan Manuel Bernal, Ilithya Manzanilla, Sam TrammellSummary: A young man must-as a last resort-kidnap his own newborn daughter to prevent her custody from falling into the wrong hands. Outrunning the authorities, he sacrifices his American citizenship and career by retreating to Europe after leaving his child in the care of his close friends in Mexico. Decades later, he must find a way home-whatever the cost.